Join delegates from the east coast of Vancouver Island and beyond, and attend a ‘watershed moment’ in the City of Parksville on April 2-3-4 for a field day followed by the 2-day symposium. In 2019, the Regional District of Nanaimo is updating their Action Plan for Drinking Water and Watershed Protection (DWWP) to incorporate learnings from the implementation over the past decade, and integrate elements that will be the focus of an “actionable vision” for the next decade and more. The Parksville 2019 Symposium is a ‘sharing & learning’ opportunity that will help inform the DWWP Action Plan update. For more information see here and to register see here. The Calgary Airport Authority is looking to hire a Climate Change and Environment Technician. The Environmental Technician is suited for a Jr. environmental professional or new grad and is responsible for supporting the environment portfolios of water, vegetation, wildlife and noise. The person in this role will collect, analyze, monitor and manage environmental data in order to support the Environmental Specialists. The Environmental Technician role is also responsible for assisting the team of Environmental Specialists develop and update Environmental Management Plans and procedures to ensure regulatory compliance and maintain a positive environmental performance as well as assist with the development and maintenance of Environmental Polices for YYC, tenant and contractor activities. For more information and to apply see here. The Real Estate Foundation of BC recently released and opinion poll outlining British Columbians opinions and values on land use, sustainability, and conservation. 81% of British Columbians support strong penalties (including jail time) for people and companies who pollute or severely damage natural habitat. BC residents see the environment, nature, and climate as top contributors to their quality of life. If forced to pick, 69% of BC residents will choose “ecosystem protections” over “economic growth” (24%). That’s a margin of almost 3:1! When making land use decisions, 84% of British Columbians say “local needs for food, energy, and water” are extremely or quite important. For the Sustainable Land Use: A Public Opinion Survey of British Columbians report see here. 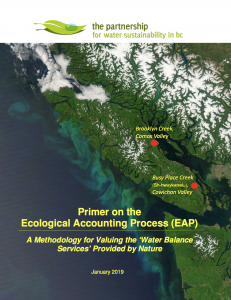 To help communities map a path forward, the Partnership for Water Sustainability in British Columbia has released the Primer on the Ecological Accounting Process (EAP). The Primer introduces a valuation methodology that uses readily available financial information from the BC Assessment database. The methodology yields an asset value for the stream corridor and can then be used for budget purposes related to asset management. The EAP has the potential to be a catalyst for action by local governments. For more information and to download the Primer see here. 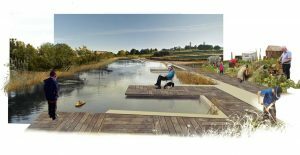 To mainstream Blue-Green Infrastructure, Scotland has developed a capital fund for projects that enhance resilience to climatic extremes, restore nature, and educate the public on the benefits of nature-based solutions. The Green Infrastructure Fund aims to create 140 hectares or 15 major projects across Scotland by 2023. For more information on project eligibility see here. 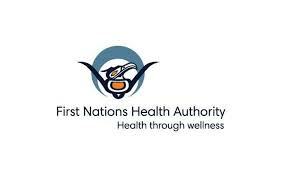 The First Nations Health Authority is hiring a Specialist in Climate Change and Health. If you are looking to make a difference in the Health and Wellness of BC First Nations, this is the perfect opportunity for you! Your high level of expertise and experience working with and for First Nations Communities on the health impacts of climate change have prepared you well for this role. A University Degree with specialization in health sciences, humanities, social science, engineering, science, or other relevant discipline or an acceptable combination of education, training and professional experience. 5 years of experience in climate change with preferably 2 years in the area of health impacts, with a focus on Indigenous populations. Experience in working with Indigenous communities. Experience in developing, implementing, and managing programs. initiatives, especially with Indigenous groups. On January 30th (12:00 to 1:00pm PST), the Real Estate Foundation of British Columbia is hosting a free webinar titled 2019 Trends in Land Use, Sustainability, and Rural Planning. In this one-hour webinar, Angus McAllister (McAllister Opinion Research) and Carolyn Whittaker (Firelight) will summarize what they learned from their 2018 research study and public opinion poll. For information on the speakers and to register see here. 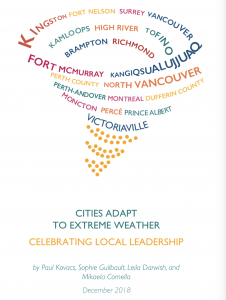 Cities Adapt to Extreme Weather: Celebrating Local Leadership is the third report published by the Institute For Catastrophic Loss Reduction in a series highlighting local governments across Canada that are taking steps toward preparing for the impacts of a changing climate. This report includes case studies of twenty communities that have developed comprehensive plans to reduce the risk of loss and damage from extreme weather events such as floods, wildfire, severe wind and other hazards. The Institute for Catastrophic Loss Reduction is an international centre of excellence in disaster risk reduction.They are the oldest and largest university-based disaster research institute in Canada. The Institute is affiliated with Western University and has been a champion for building disaster resilient communities for more than 20 years. The Pacific Institute for the Mathematical Sciences is hosting a four day workshop on mathematical sciences and clean energy applications. The workshop will include: first-hand accounts of mathematical scientists working in clean energy projects, kind and gentle introductions to clean energy systems and mathematical tools, graduate student presentations, and panel discussions on topics such as challenges in clean energy. The goal of the workshop is to inspire interest in further exploration and to nucleate collaborations between mathematical scientists and practitioners in clean energy. Mathematical scientists with no previous experience in clean energy research are welcome. Canada’s national conference on climate change adaptation is coming to the West Coast! ADAPTATION CANADA 2020 (February 19-21, 2020) will bring to Vancouver experts and leaders from diverse sectors, regions and jurisdictions to work on one of the most urgent issues of our time — how to build climate change resilience in our communities, ecosystems and economy. This conference is a must-attend for people in all orders of government (federal, provincial, municipal and Indigenous), industry, academia and non-government organizations. If you want to learn from others and make new connections to ramp up your own resilience efforts, this is your conference! To sign up for updates on Adaptation Canada 2020 see here. Which path to halting climate change? 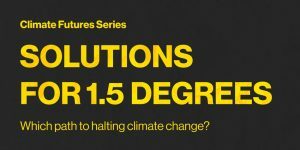 On January 10th The Pacific Institute for Climate Solutions, Climate Futures Initiative and SFU’s Faculty of Environment are hosting the Solutions talk of the Climate Futures Series: The SCIENCE, IMPACTS and SOLUTIONS to limit global temperature increase to 1.5 degrees. This talk will explore how the limited amount of carbon dioxide that we can still emit while limiting global warming to safe levels can be translated into emissions pathways that inform the climate change debate and climate policy about choices that are made today. When: Thursday, Jan. 10 from 7:00 p.m.-9:00 p.m.
ACT is excited to announce the release of the final report and deliverables for our year-long project exploring low carbon resilience (LCR) best practices for professionals. As the 2018 IPCC Special Report makes clear, the need to advance mitigation and adaptation is now more urgent than ever before, and historical standards are no longer adequate to inform future planning. 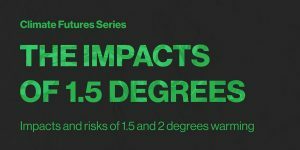 Climate change poses significant risks to all professional reliance models, which increasingly need to include climate change mitigation and adaptation as part of advisory and consulting services. It is therefore crucial to advance an integrated approach while mainstreaming integrated climate action into all planning and decision-making. The integration of the two streams of action (mitigation and adaptation) in research and practice is increasingly referred to as “low carbon resilience” (LCR). This project focused on the key role professionals play as change agents in climate action, and what is needed for all sectors to advance uptake of LCR-based practices. The case studies, tools and resources presented in this report were developed in consultation with professional representatives across Canada through meetings held in early spring and late fall of 2018 – at the local level in BC, with SFU ACT’s Professional Advisory Council (ACTPAC); at the provincial level, with the BC Professional Associations Adaptation Working Group (PAAWG), hosted by the Fraser Basin Council; and with national professional associations in Ottawa, co-hosted with the Federation of Canadian Municipalities. Groups engaged span a range of professions, including engineering, law, agriculture, energy and utilities, forestry, flood management, accounting, water & wastewater management, real estate, development, policy, planning, health, insurance, architecture, and biology. Low Carbon Resilience Briefing Note: The briefing note for decision-makers introduces the concept of LCR, and outlines advantages and co-benefits that can be gained by adopting the LCR approach. Low Carbon Resilience Conceptual Process Model and Diagram: The LCR Conceptual Process Model outlines how key steps in climate adaptation and mitigation planning processes might be aligned to achieve integrated action. The following LCR Diagram further provides a high-level overview and further considerations related to integrating climate change adaptation and mitigation into planning processes. 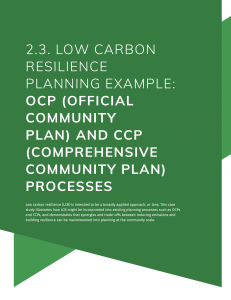 Low Carbon Resilience Planning Example – OCP (Official Community Plan) and CCP (Comprehensive Community Plan) Processes: This case study illustrates how LCR might be incorporated into existing planning processes such as OCPs and CCPs, and demonstrates that synergies and trade-offs between reducing emissions and building resilience can be mainstreamed into planning at the community scale. Low Carbon Resilience Tool Example – BC’s Energy Step Code: This case study illustrates how low carbon resilience (LCR) might be incorporated into an existing tool, the BC Energy Step Code. It demonstrates that synergies and trade-offs between reducing emissions and building resilience can be achieved at the building scale, and highlights how practitioners using the code might increase efficiency and effectiveness by considering future climate in building design and operation. Low Carbon Resilience Case Study – North Vancouver Rain Gardens: This case study provides an example of a municipal-level ecosystem-based approach to sustainable land and water use that demonstrates LCR benefits. 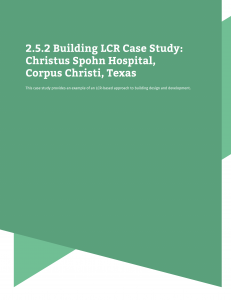 Low Carbon Resilience Case Study – Christus Spohn Hospital, Corpus Christi, Texas: This case study provides an example of an LCR-based approach to building design and development. Low Carbon Resilience Case Study – Municipal Climate Planning, City of Hamburg: This case study provides an example of an LCR-based approach to local government climate action planning. ACT gratefully acknowledges the support of the Vancouver Foundation and the Real Estate Foundation of BC for this project overall, and the Pacific Institute for Climate Solutions (PICS) for the survey on continuing professional development.